I was fortunate enough to receive a wonderful surprise in early January. My good friend Eric MacDonald, professor at the UGA College of Environment & Design, brought two crates of quince from Dumbarton Oaks in Washington, DC to The National. You may be surprised by this, as I was too! This is the only agricultural product I’ve ever heard of being grown in the District of Columbia. Quince is a fruit that looks like a large apple or pear with a beautiful perfume. Eaten raw, quince are terribly sour and hard. However, they contain a remarkable amount of pectin making them perfectly suited for jams and jellies. You’re likely only familiar with this exotic fruit in the form of quince membrillo, the Spanish red jam often accompanying a cheese course. 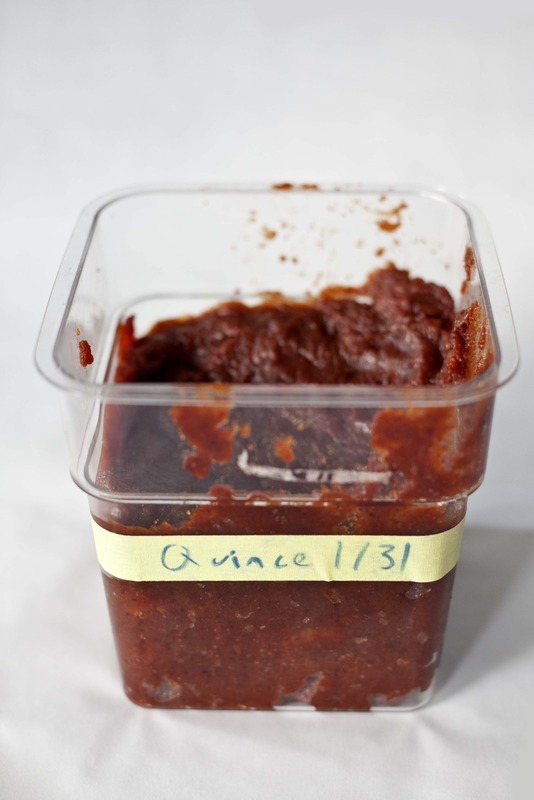 We used our haul of quince to make our own membrillo. I’m looking forward to enjoying it over the next several months–on cheese plates, in a jus served alongside our local quail, and in our new cocktail called The Quincy. The Quincy is made with Bulleit Bourbon, Luxardo Amaretto, our Dumbarton Oaks quince jam, Angostura bitters and a squeeze of lemon. This tasty drink harkens to classic cocktails, showcasing a nice range of sweet and bitter notes. By the way, if Dumbarton Oaks sounds familiar to you, the house was the site of the Dumbarton Oaks Conference in 1944 that laid the groundwork for the United Nations. This is some pretty historic quince I’d say! Our friend Kevin Shaw at Georgia Olive Farms in Lakeland (near Valdosta) has reported to me the first commercial olive harvest in Georgia since the mid 1800’s. I can’t wait for a taste. Supplies will be limited at first, the goal is to produce high quality extra virgin olive oil right here in Georgia.